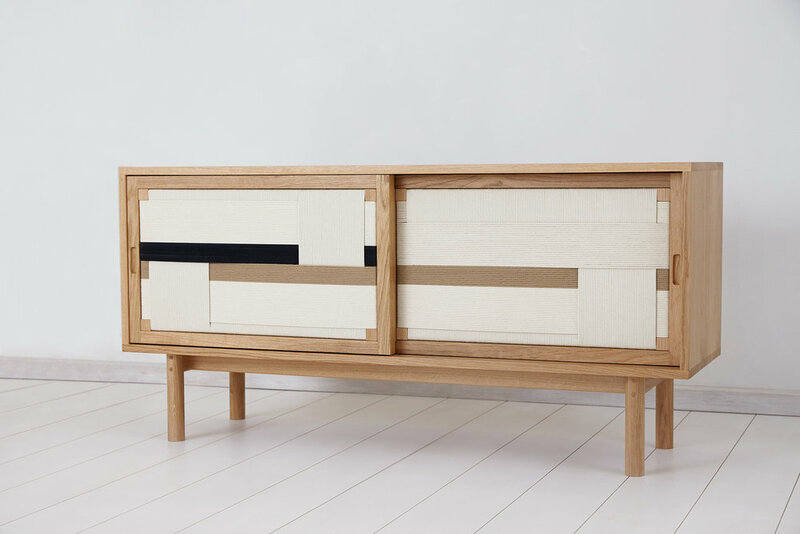 A sideboard made in collaboration with artist Jo Elbourne. Inspired by mid-century woven rattan fronted sideboards made popular by designers such as Hans Wegner. Available in Oak, Walnut and Ash.